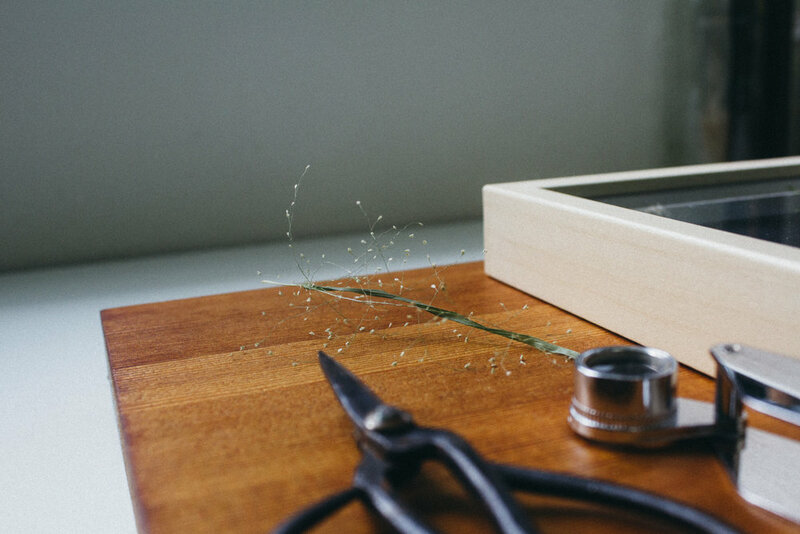 A series of homegrown workshops, designed and crafted by Team Skillseed. At Skillseed, we believe in helping young people match passion to potential, and teaching them how to leverage on their strengths and knowledge to do awesome things! With this initiative, we hope to honour the talents of Team Skillseed, and provide them with a place to share what they love with a larger audience. Lose yourself in a kaleidoscope of colours, forms and textures as we search for wild botanical treasures in the urbanscape of Singapore’s coffee belt at Jalan Besar. 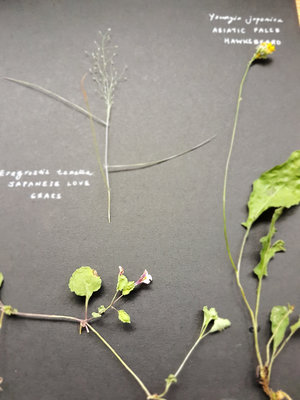 Relive the innocence and simplicity of childhood as we learn to identify and collect common wayside plants, through a guided trail led by a local naturalist. And through this, experience Singapore on a different level. 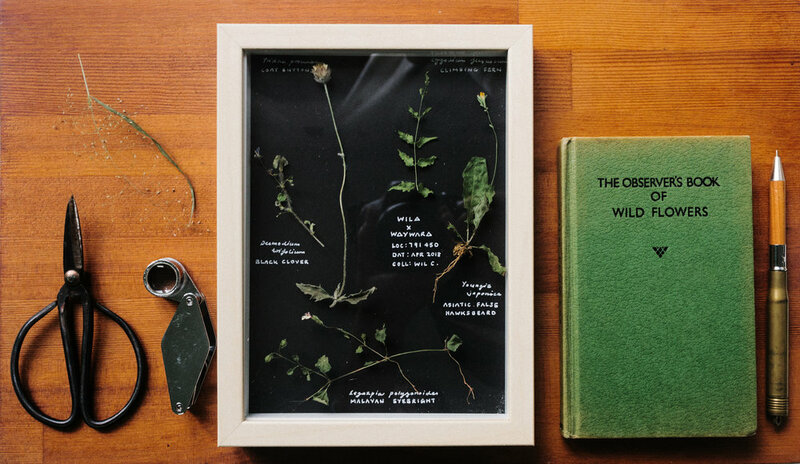 With our hand-gathered botanics, we will blend science, art and dashes of whimsy to craft a framed herbarium that will immortalise your experience, enliven your space and enchant visitors. All necessary materials, including light local refreshments (i.e. finger food and drinks) will be provided. 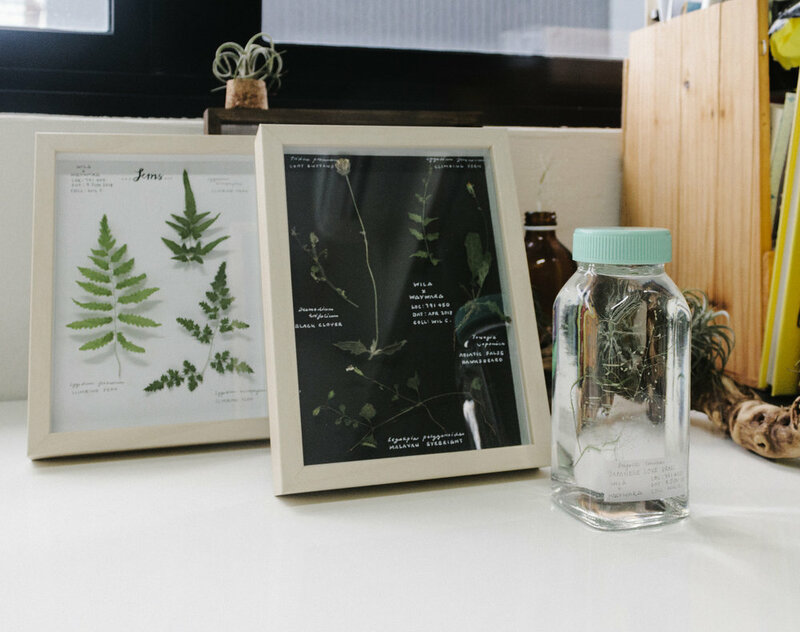 Participants will bring home their framed herbarium art (13cm x 18cm) showcasing about 5 botanic specimens that they have handpicked and preserved. Wilson is a biologist by training and an artist at heart. His childhood memories are filled with collections of insects, sea life and plants; the boy still lives in him today. He spent 10 years in NParks first traipsing around Singapore, cataloging our local wildlife, then leading research to improve our urban greenery. He now teaches social impact tools at Skillseed, amongst many other things. He’s on a mission to share the language of nature with others. Wild x Wayward is a sincere attempt to share Singapore’s overlooked natural heritage with locals and visitors alike. It was inspired by the idea that sometimes the best things in life are right before us, if only we knew how and where to look. This wildflower walkshop is the first in a series of many - look out for upcoming ones that involve our seashores, mushrooms and more!